Stopped back at this amazing junkyard. This place is amazing. I have not found out who owns this place - so we just stay on the outside of it. But someday I will gain access and just you wait and see. This is a HDR mecca. Unfortunately I know nothing about HDR. 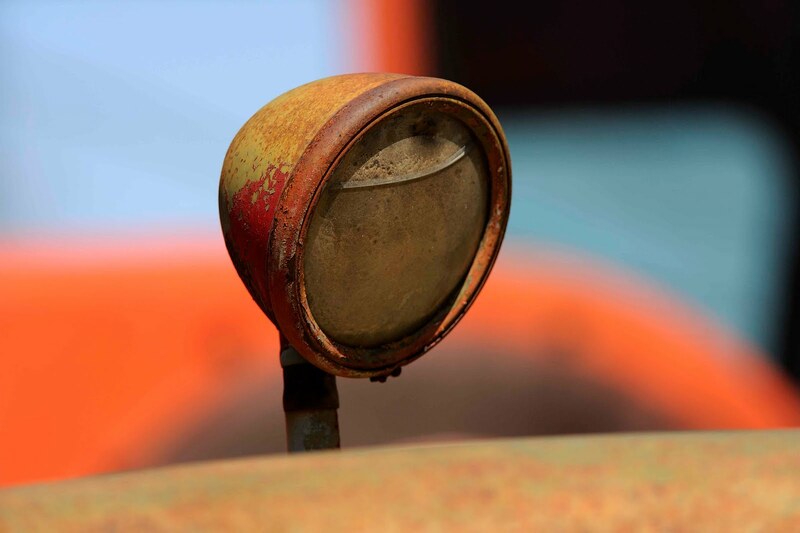 This is a shot that I liked - it is a light from a rescue vehicle. Loved the colors.